Special day: learn to love life is a picture book by Max Velthuijis. Max is from the Netherlands and has written lots of famous children's books. 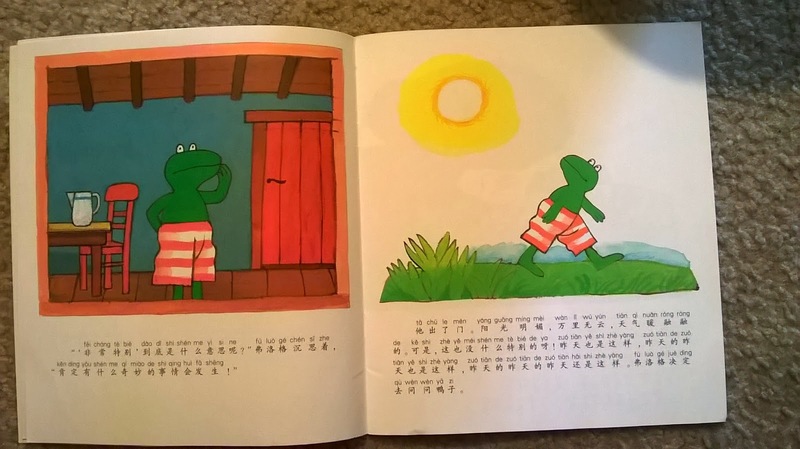 One of them is the Frog series, a series of books about a frog. I was amazed to see that Amazon had some of the Chinese versions for sale for very cheap! This one only costs $2.99 and has prime shipping. It was temporalily out of stock when we ordered it, and it took around a month to get here, but it came! It's a soft cover book, about 20 pages. 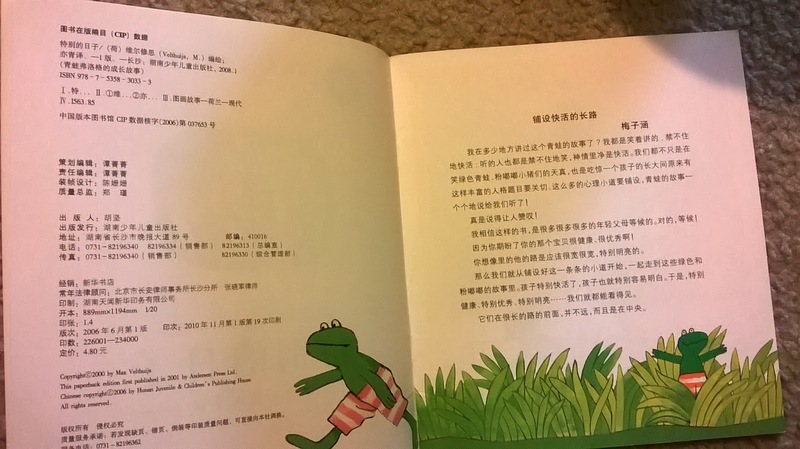 There is pin yin under all the characters, and it's a nice story about a frog whose friends tell him it's a special day, but he can't figure out why it's a special day. In the end his friends throw him a surprise party. Anyways, the amazing convenience of Amazon together with a cheap price made this a no brainer for us to buy. Now that our 4 year old is getting better with characters and pin yin, he's starting to be able to read this book by himself. Its very satisfying for him and us.